I must begin by saying that Disney has few more intense critics than this writer. I didn’t create an entirely Disney-free household for my children, but those materials generated by that empire that made their way past the threshold were clearly in enemy territory. We made a tenuous peace with some, but refused to be captivated by the allure surrounding the brand. 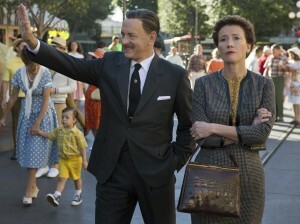 That said, I just saw Saving Mr. Banks and loved it. It wasn’t a perfect movie, but it was captivating on so many levels that it was well worth the effort. Without any background research, I don’t know how close it was to the truth, but let’s pretend for the sake of this review that it was simply a story within a story. Those layers worked. In sum, the father of two little girls notices that they are delighted by a children’s book (Mary Poppins), which he subsequently picks up and reads. Father happens to have created an entertainment venue which is always foraging for good material to consume, and he contacts the author (P. L. Travers) in hopes that she will allow him to turn her book into a movie. Her firm refusal endures his persistent requests for 20 years, after which her precarious financial situation compels her to at least meet him and listen to his ideas for the project. The encounter requires her to travel from England to California; and yet initially that distance appears short compared to the vast mental divide between her compulsively detailed attachment to her protagonist and the way the movie mogul wishes to market the enigmatic character. Her persistent cantankerousness holds sway because—despite her agreement to consider the project—she has yet to sign over the rights to her material. The movie weaves together a backstory that allows the audience to understand Miss Travers and the childhood roller coaster she endured because of her own father. As her obstinacy continues throughout her visit with the movie crew—who spend days poring over each minute detail with her—the iconic entertainment tycoon eventually shares a little about his own roots. Although he didn’t have access to any particulars concerning her family, he sensed that the possessiveness about her characters had more to do with fatherhood than with artistic license, and her obstreperousness was more fragility than eccentricity. But beyond the story within a story, there was also the layer that included the men and women watching a large screen on a snowy afternoon. Since it isn’t really a children’s movie, the audience was older—mostly middle-aged and retired. As our generation is still inclined, we clapped enthusiastically at the end. There was such a release when all was made right, as we knew it would be. But there was more. We all sat glued to the credits, because now our own stories entered in. We remembered Mary Poppins from our childhood, and we delighted in seeing the photographs of the actors, the awards, and the stills from the movie. If I may be so bold, I will suggest that our own childhoods, our own fathers, and a host of wide-ranging memories flooded the theater—for this film provided a vehicle for revisiting the crises of insecurity that haunt every child’s life. While I harp incessantly about how Disney ruins perfectly good fairy tales, how they sentimentalize anything of real import, and flatten authentic human dramas into trivial husks, in this retelling (however accurate) they couldn’t ruin the real moral of every personal story: fathers matter. Mr. Disney’s empire may have been launched in reaction to his own experience, Miss Travers’ books may have been written to tidy up the mess comprising her own early years, and both situations remind us that the trajectory each life takes cannot avoid the critical influence that a father—or father-absence—makes. 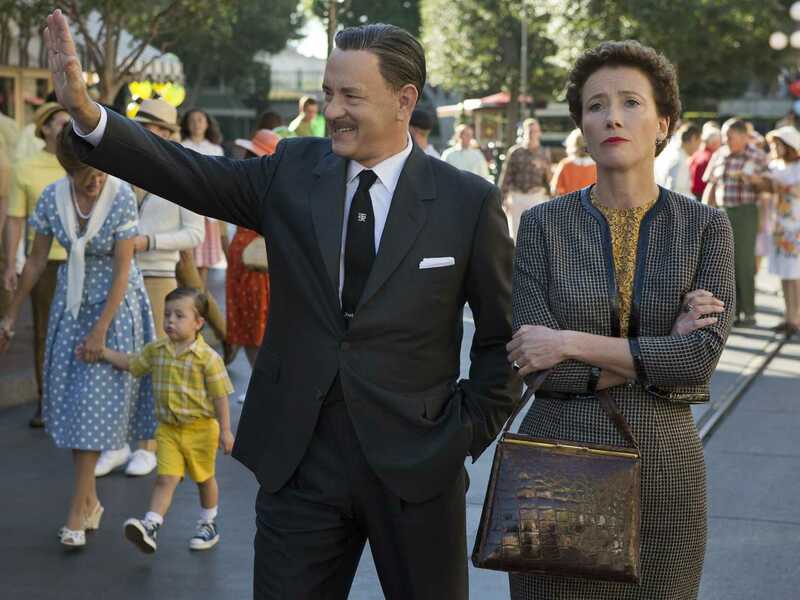 Since Saving Mr. Banks didn’t wash this critical, colorful truth out of family dynamics, I will always commend this film and revel in the excellent effect it had on its audience. For good or evil, whatever path our country is on at present, it cannot be dealt with unless we raise the right questions, and “whither fatherhood?” would make a tremendous start. The rest should follow in due course if our answers are honest.